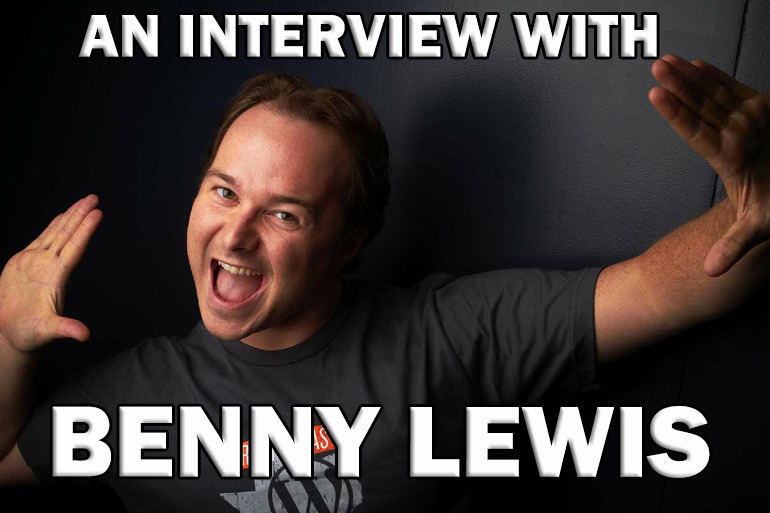 This is Part 2 of the interview I had with Benny Lewis (AKA Benny the Irish Polyglot). For Part 1, click here. In addition to answering these questions, Benny talks about the reasons why he does not actively promote his product (the language hacking guide) and why he chooses to live simply and not make a whole of money (which he truly could if he wanted), and why you shouldn’t give equal weight to all 4 aspects of a language (i.e. reading, writing, listening, and speaking). As usual, I welcome your comments and feedback, and if you have any questions for Benny make sure to leave a comment and hopefully he will be kind enough to find the time to respond to them!